Kalahari - 2008 daughter & supreme PR girl! Outstanding Macgyver, Accoyo Inca, and Accoyo Bruxo bloodlines! 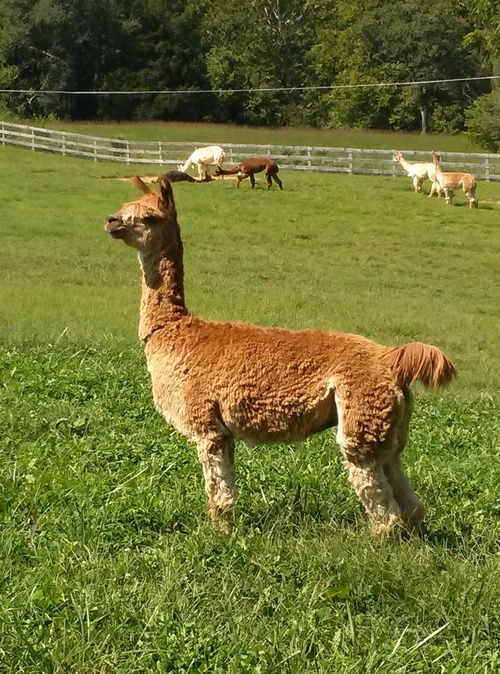 This beautiful 1/2 Accoyo fawn female with dark skin and nails, and a super slick and lustrous fleece is producing show quality competitive crias. Triscuit is an outstanding mother with plenty of milk whose crias gain weight quickly. 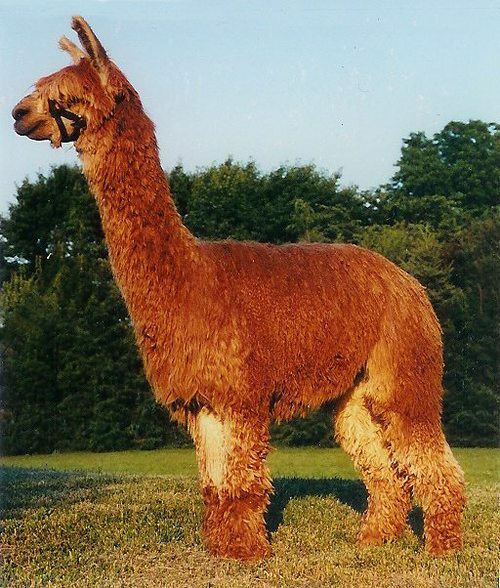 Her first cria, OLC Peruvian Alvarado, was awarded "Color Champion - Multi's" at the 2005 MAPACA Jubilee at 6 months old. This beautiful male exhibited luster, uniform locks, density, and superb conformation. 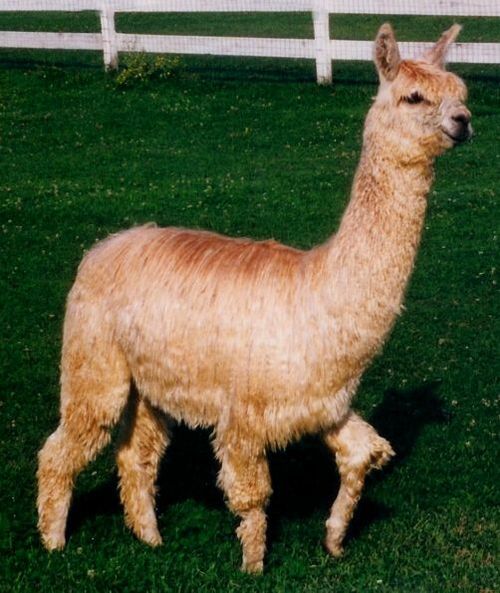 Her 2005 female cria, Biscotti, out of our dark fawn 1/2 Accoyo herd sire, Jimbobway, is dark fawn with a grey face. Biscotti exhibits the same outstanding fleece qualities as her full brother, Alvarado, and will be a foundation female for our farm. Ask for Price 2 Females in a row! 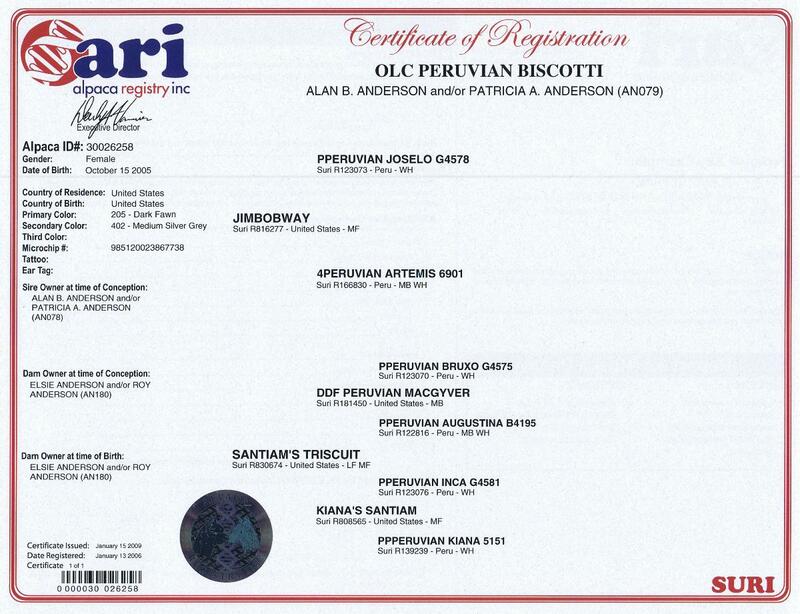 We purchased Biscotti from Alan's mom, OLC Farms, because she is a beautiful daughter of our top herd sire, Jimbobway. Both her sire and dam are 1/2 Accoyo bloodlines. Triscuit is a Macgyver daughter, and Jimbobway's sire is Accoyo Joselo from Alpacas of America. Biscotti was never shown only because her owner was not interested in showing her alpacas. Biscotti has great conformation and is a well-proportioned large female weighing about 170 lbs. when open. She is an easy keeper with a wonderful disposition. 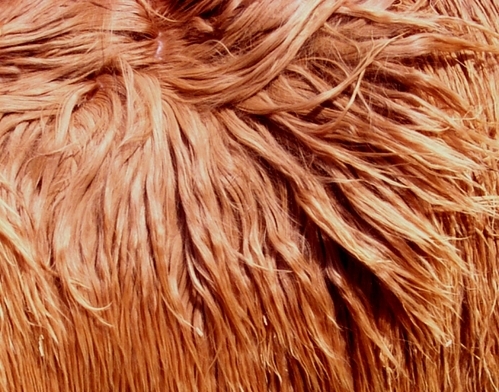 Her fleece has very nice luster, good lock definition, and has good character and locking even after being shorn 4 times. 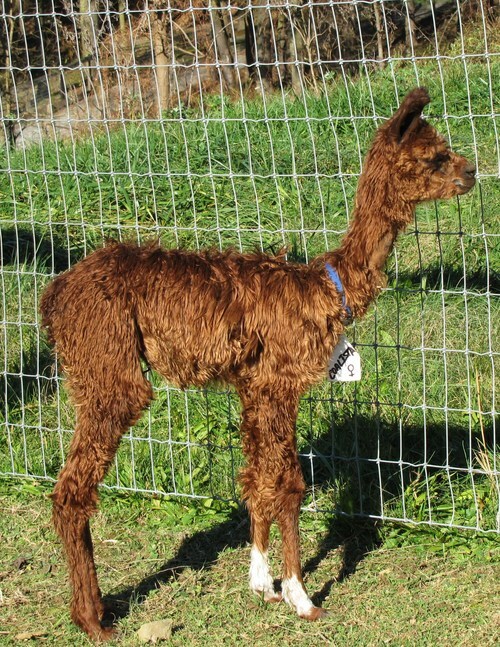 Biscotti has had 2 female crias: Kalahari (Solid Dark Fawn) out of Mercury Rising (Med. Silver Grey) and Coalista (Med. Brown) out of Allegheny Peruvian King Coal (True Black). Her crias have good coverage and lock architecture with luster. 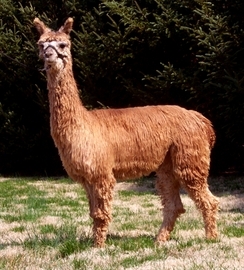 Kalahari is our special PR alpaca and lets kids climb all over her at the Farmer's Markets while she is cushed. Coalista is also very friendly and easy to handle. Biscotti is currently open. Buy her now and you choose the Wild Rose Suri Ranch stud! She comes with a complimentary breeding for non-auction purchases, including 45 days board and a confirmation ultrasound. 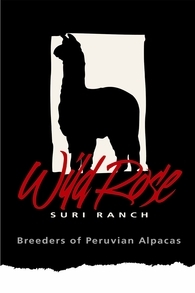 Choose any Wild Rose herd sire, including full Accoyos. Full breeding guarantees apply along with great customer support. Need terms? We are flexible - call to tell us what you can do, and let's come up with a plan! Call Patti at 443-740-4240 for a farm visit, more information, or different financing options to meet your needs.